This family heirloom came in with a fungal invasion, and acid contamination that we believe to have been caused by a stretcher bar. Cleaning, drying, and pressing prepared the textile for an archival mount onto foamcore that was then covered with a single-ply linen mat. A custom frame in the American Hicks style with veneer and black corner blocks was prepared and then given archival glass to finish. 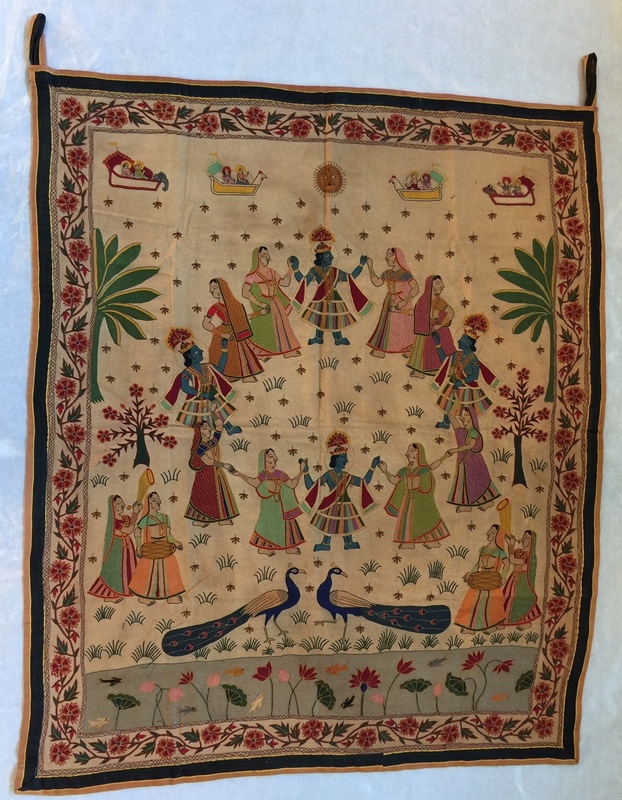 Every family heirloom is unique, but this particular textile, with the restoration and custom frame, gave us the opportunity to impart our diverse talents, to what we know will be a cherished keepsake for many years to come. 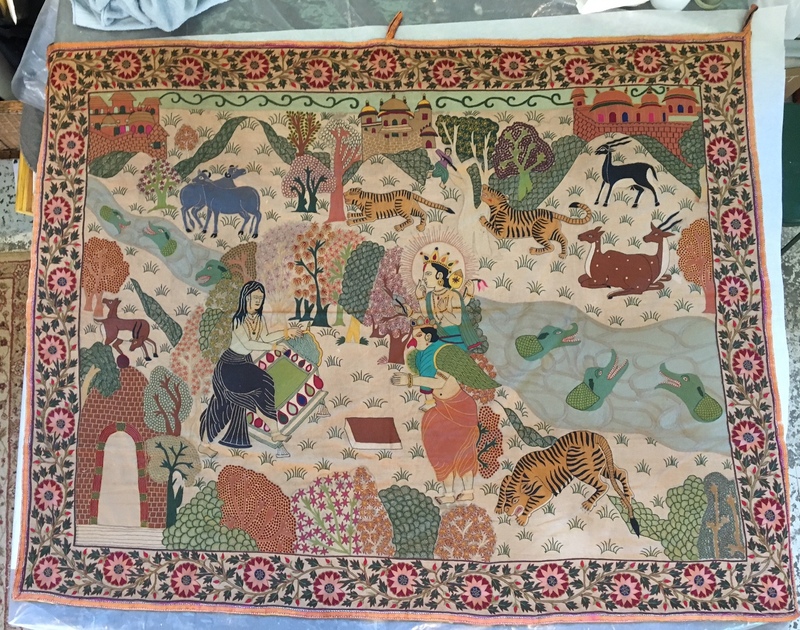 These magnificent works are natural, hand embroidered textiles from the Rajasthan region, northwest India. Their craftsmanship is outstanding, and they largely remain in great condition except for some minor dirt contaminates and light staining in a few places. They will be cleaned and placed in archival shadow box plexiglass frames to give them the presentation they deserve. A velvet Elvis came in attached to a metal sign with several non-archival types of tape. At one point it had been cropped, which made several tears and cuts, as well as folded Elvis’ arm from view. The velvet itself had deteriorated and was in need of cleaning. Once it was removed from the metal sign, we worked from the reverse side to repair the breaks, cuts, and weak areas. It was then mounted onto a black mount and in-painting was carried out where necessary. The restoration was completed by placing Elvis in a new, custom frame with black rails and gilded, sgraffito corners.